Corals, Sea anemones, Sea Pens, Etc. Anthozoans include corals, sea anemones, sea pens, and related organisms. 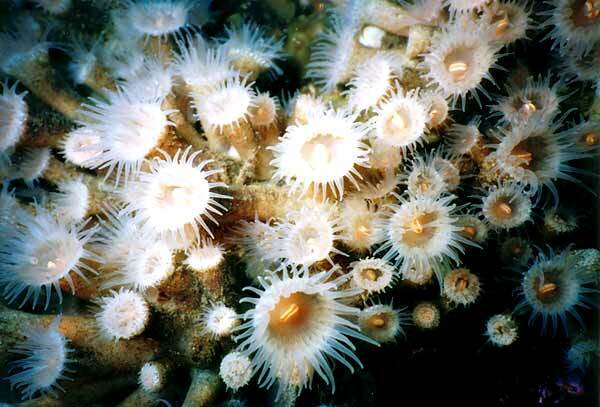 These animals are either solitary or colonial polyps that live attached to a substrate (surface). This is the largest and ecologically the most important group of cnidarians. Anthozoans are unique in their absence of a medusiod phase and polyps much larger than are found in the other two classes. The polyp shows biradial symmetry, with the body cavity divided by septa There are 6,000 known recent species.